Some folks love the smell of freshly brewed coffee early in the morning while others prefer the more subtle aromas of tea. Still there are those who prefer to have their coffees icy cold, ready to be brought for the long day ahead. Whatever your brewing desires are, wherever you may be, enjoying the goodness of brew is now made super-easy by the Soma Brew Bottle. 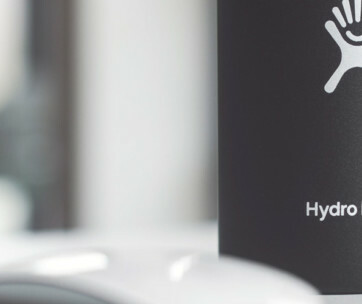 It’s like any other water bottle that is constructed of premium borosilicate glass arranged in a double wall configuration. The increased distance between the two layers of glass helps provide for a safer surface for you to hold even though you’ve just poured 12 ounces of piping hot water inside its clean glass cylinder. 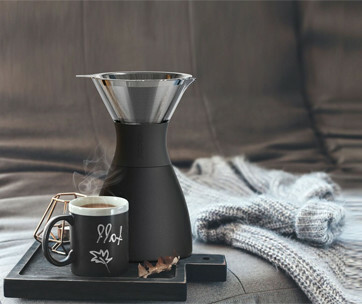 The same construction keeps the temperature of your hot drinks warm enough that you might scald yourself if you somehow forget that it’s filled with hot drinks. The flip top lid is engineered to be absolutely impervious to leaks. 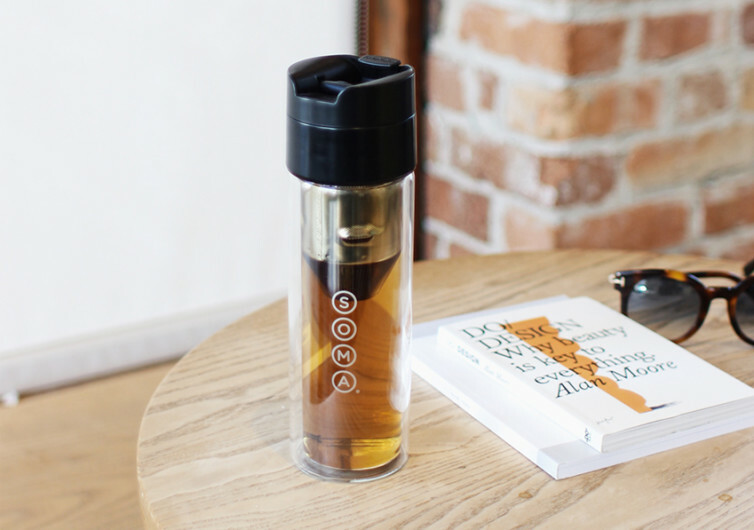 Not only do you get to keep every drop of your precious brew inside its glass body, you will also seal in the flavors, aromas, and the right temperature of your drink. 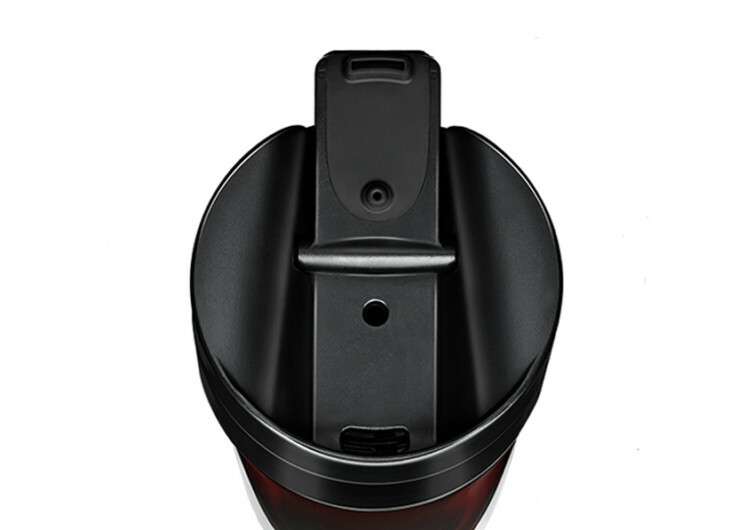 The lid comes with its own hole that delivers the right amount s of fluids every time, all the time. 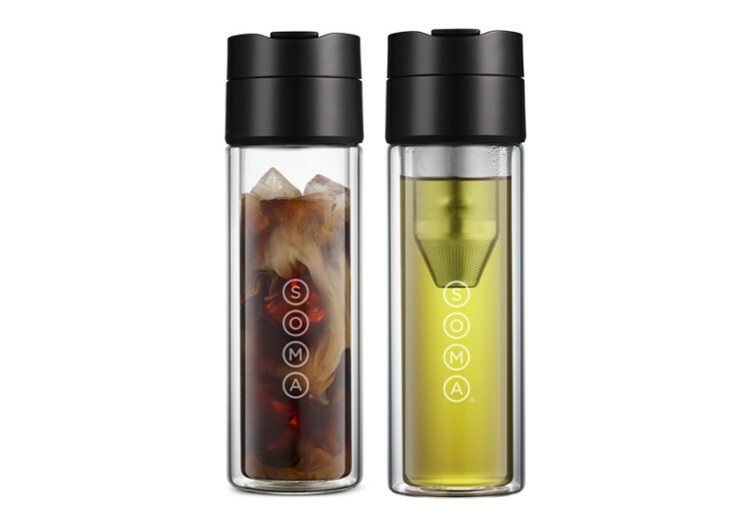 At the core of the Soma Brew Bottle is a stainless steel filter that gets rid of the unpleasant sediments that you can have from your coffee grounds. It’s a nifty device, never interfering with the full flavors of your drink. It won’t impart any distinct metallic smell or taste so you get to enjoy your beverage just the way you like it. But there’s another advantage to the use of a stainless steel filter – cleanups are hassle-free. You don’t even have to think about replacing any filters. As long as you maintain it well, the filter should serve you for a lifetime. 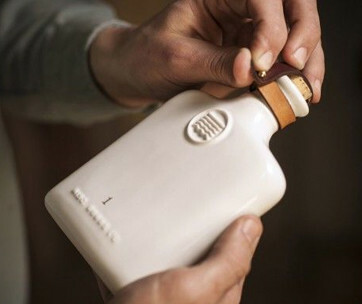 The Soma Brew Bottle comes with a very simple yet thoughtful design. It empowers you to make your own brew regardless of where you are. It’s every journeyman’s essential coffee-maker whether it’s piping hot or cold brewed.